I was introduced to Catherine recently at a book launch and was delighted when she readily agreed to be featured on the blog. Her début novel Truestory was published by Sandstone on 17 September 2015 and has some amazing reviews – all 5* reviews on Amazon (at the time of writing)! I haven’t read it myself yet but Catherine has kindly arranged for me to have a copy to review so watch out for that in the next few weeks. I am a journalist, novelist and short story writer but have also worked as a waitress, shop assistant, cleaner, bar maid, bank clerk, Customs and Excise officer, charity fundraiser, events’ organiser and full-time mother. I was born and raised on a Lancashire dairy farm but have lived in Scotland for over 20 years. I wrote my first book aged eight then got writers block for nearly 40 years. Well, I suppose I was writing in the meantime but mainly diary entries and in secret. In 2008, when I was 45, I enrolled on an Open University Creative Writing course to see if I could indeed write fiction or whether I should shut up about it once and for all. I loved the course and got good feedback so went on to do an MA in Creative Writing at Edinburgh Napier University. During the first year of my MA at Napier I wrote a novel, Chickendust, which was shortlisted for the Mslexia Novel Competition. This got me an introduction to Joanna Swainson, of Hardman & Swainson, who later became my agent. Chickendust remains on a memory stick. I started Truestory in the second year of my MA and I won a Scottish Book Trust New Writers Award with the opening chapters. 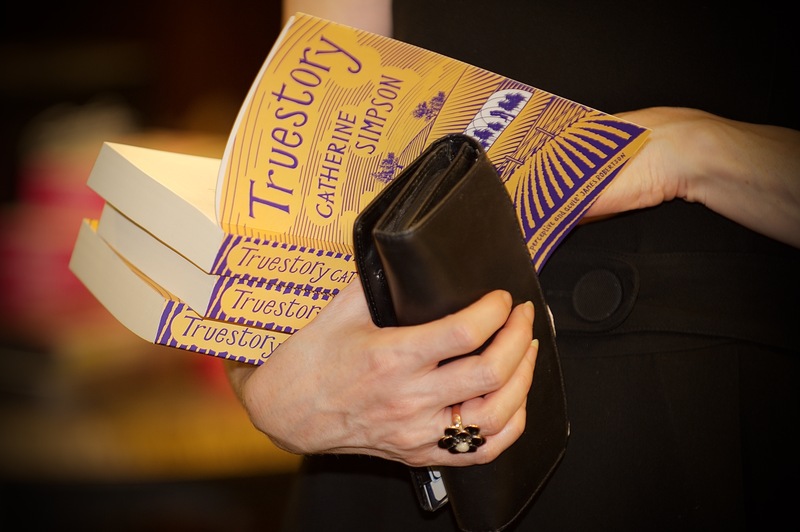 With the help of my New Writers’ mentor, Kathryn Ross, I rewrote Truestory and was signed by Joanna and then Sandstone Press quite quickly after that. Truestory is about Sam, an 11-year-old boy with Aspergers (a form of autism) who refuses to leave the isolated farm where he was born. Instead he interacts with the world via a chatroom. 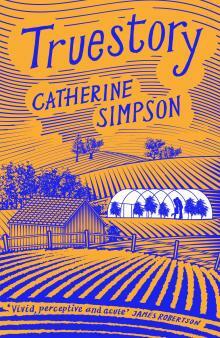 Sam’s mother Alice is trapped at the farm with him, as her marriage to Duncan collapses and their farm heads towards bankruptcy. Then Duncan brings drifter Larry back to the farm and everything changes. The story is told both from Alice’s point of view and from conversations in Sam’s chatroom. It was inspired by my own experiences of raising a child with autism. Behind the farm where I was born was a Victorian-gothic mansion hidden in the woods. In the 1970s it was owned by the council and used as a college. As kids, my sisters and I used to explore the woods around it and get chased away by a man called Mr Andrews, who shook his fist at us like the baddie in Scooby Doo. My fascination with the place was obviously deep because it is now providing a lot of the inspiration for the novel I am working on, which is currently called Strawberry Hall. This novel is exploring ideas about to what extent we can escape our pasts. What’s your favourite book you’ve read so far this year? Earlier this year I heard a snippet of ‘Ladder of Years’ by Anne Tyler on Radio 4. I then had to go and read the book because it was dealing with one of the ideas I find most fascinating, and which crops up in my own writing; how are people able to disappear from their own lives and recreate themselves elsewhere? I’m currently reading some Sarah Waters and I’ve just finished Fingersmith, which was fabulous. I love the way Sarah Waters sets her stories in creepy old houses; they are such fun to read about. I’m now reading Tipping the Velvet, which I’m also enjoying, but I’m missing ‘Briar’ the gothic house in Fingersmith. Kindles are great for bargains and purchases that you must have NOW: This. Very. Minute. But on the whole I’m a fan of the paper book. I abuse them mercilessly – turning over corners, marking paragraphs, underlining & using half-read books as book marks in other books. I always carry a book because you never know when you might get the chance to escape reality. I was once engrossed in a book sitting at the side of my daughter’s primary school disco. The head teacher came over and said: ‘You can read? Here?’ I was baffled by the question. Where better to escape reality than a primary school disco? I read whenever, wherever, but without fail before going to sleep. I can’t fall asleep without pouring a few words in my brain first. Difficult to choose one so I’ll be greedy and have several: Amy March (Little Women) because she gets to do the Grand Tour of Europe, can paint and has ringlets (ok, I’ve changed my mind about the ringlets), Hermione Granger (Harry Potter) because she is ferociously organised and can fly, Pippi Longstocking because she has a bottomless trunk of gold, Elizabeth Bennet (Pride & Prejudice) because she gets a happy ending, and Alice because who doesn’t love a tea party? I love discovering new authors. Thanks for bringing Catherine to my attention. I really enjoyed this novel so it was interesting getting to learn more about the author and what lay behind the writing. Thanks for this! Thanks Kendra – I’m looking forward to reading it. Lovely intereview and great to find out more of Catherine’s inspirations. I find her writing very engaging- her answers here show that too, don’t you think? I’ve read Truestory and absolutely loved it. It’s really gutsy yet funny and v easy to read. I’ll look out for your review! Thanks Louise – I always enjoy finding out about authors and what inspires them.